These Pics Of Kareena & Saif’s Baby Will Make Your Heart Melt!! Taimur Ali Khan is already a star and why wouldn’t he be? He’s the son of two of the most well-known actors in the industry, Kareena, and Saif. We all already love this little munchkin and more so now than ever, after looking at his adorable pictures. He has been taking social media by storm and we are just so elated about it. Look at him wearing a white kurta pajama and looking the cutest of ‘em all! Who’d have thought a baby can pull off a kurta as amazingly as Taimur, right? When he looked exactly like his mom, Kareena. Now we know where he has got his adorable looks from - Kareena was just as cute as Taimur when she was a kid. Now, this picture here proves Taimur loves to pose for paparazzi… SO cute! 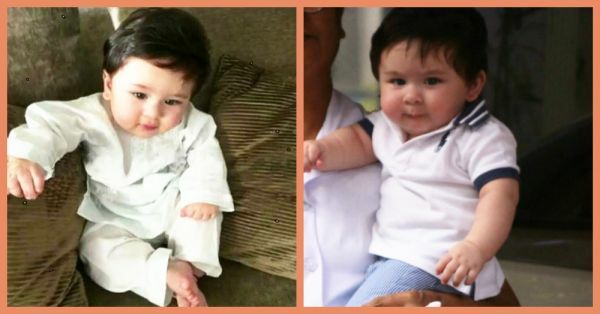 We love you, baby Taimur!